Three decades ago, most clinicians believed that their family assessments and their therapeutic practices had universal application. As client populations became more multicultural, ideas about cultural specificity began to enter our field. Today, we search for strength-based frames that can help us respect cultural diversity and work towards social equity for immigrant and cultural minorities. This webinar addresses this urgent need by offering a multidimensional comparative ecosystemic framework useful for working with a wide variety of cultural groups, rather than only one ethnic group at a time. The framework offers non-stereotyped multicultural road maps, new tools and clinical illustrations that involve a stance of cultural humility on the part of practitioners, since they too must become aware of the role that their cultural assumptions and preferences plays in the therapeutic encounter. 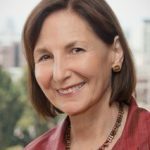 Celia J. Falicov, PhD is an internationally known family therapy author, teacher and clinician. A licensed clinical psychologist, she is Clinical Professor in the Department of Family and Preventive Medicine and directs prevention and mental health services for immigrant clients at the Medical Student Run Free Clinic of the University of California, San Diego. She is Past President (1999-2001) of the American Family Therapy Academy. Dr. Falicov pioneered writings on family transitions, migration and cultural perspectives in psychotherapy practice and training, and has received many professional awards for this work. Her recent publications include the widely praised Latino Families in Therapy (2014, 2nd edition) and the co-authored 2014 APA book Multiculturalism and Diversity in Clinical Supervision. Many of her recent articles address working with transnational families, emotional transnationalism in immigrant offspring, cultural adaptations and evidence-based practices, and the complex cultural evolution of traditional gender roles.